November 10 Conference details: book early for discount. To get the £8 advance fee, reduced from £12, please book now by phoning our sponsor Coffee Plant during office hours (0208 453 1144) or going to the Coffee Plant website where we have set up a special page to book tickets: www.coffee.uk.com/tickets. The group ticket price is cheaper still. We hope we have got a really good line-up for you. 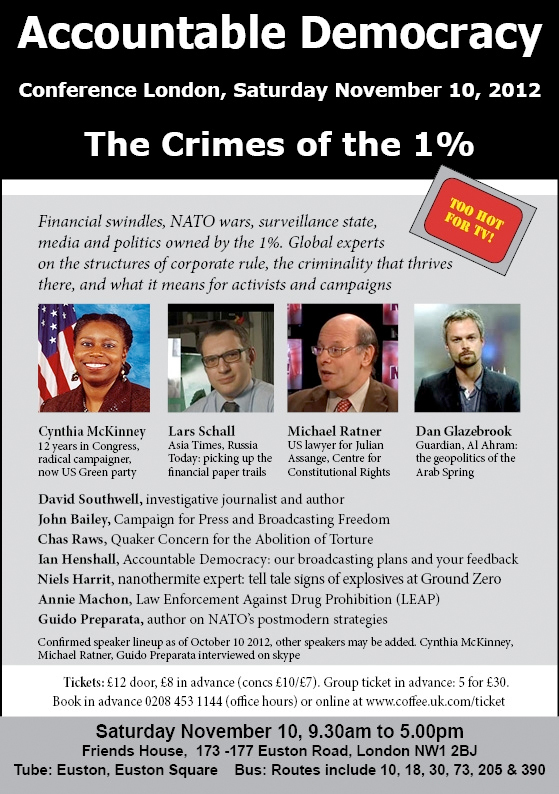 You have probably noticed that RI911 has launched Accountable Democracy as an official lobby group and the sponsor of the Crimes of the One Percent Conferences. This does NOT mean we will be abandoning the false flag terrorism issue, just that we will be raising the many other instances of looting and warmongering by the one percent. 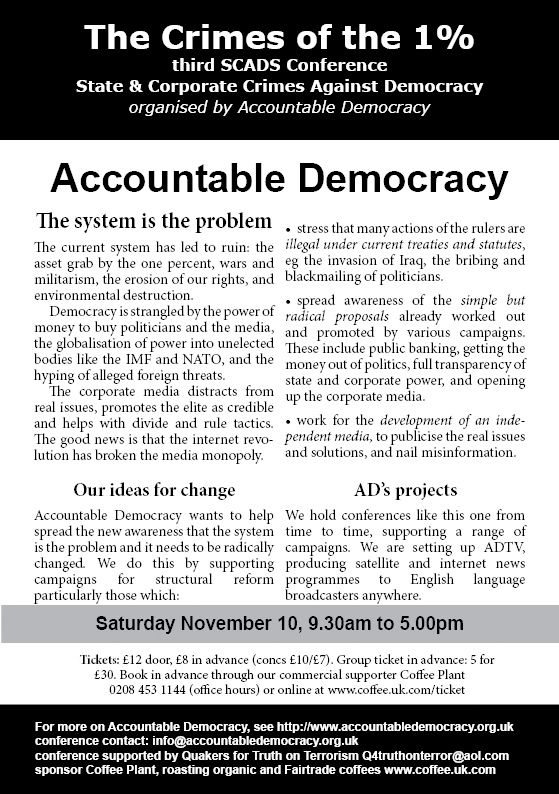 Accountable Democracy is also sponsoring ADTV a TV programme making initiative. This should reach many thousands more people when ADTV goes public on youtube and satellite. This is the last conference before that, which means that we are relying on the people like you on this list to show interest as you have done in the past.